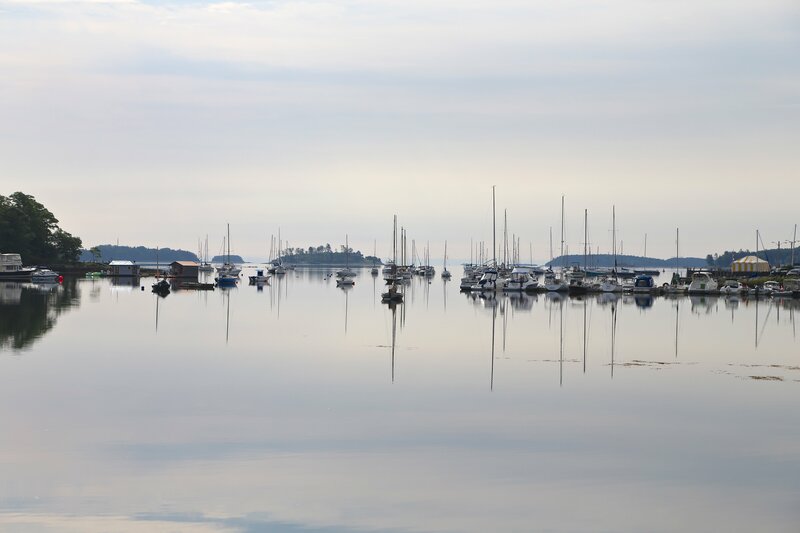 You will wind our way through several lovely towns, including Chester, Mahone Bay and Lunenburg, a UNESCO World Heritage site. 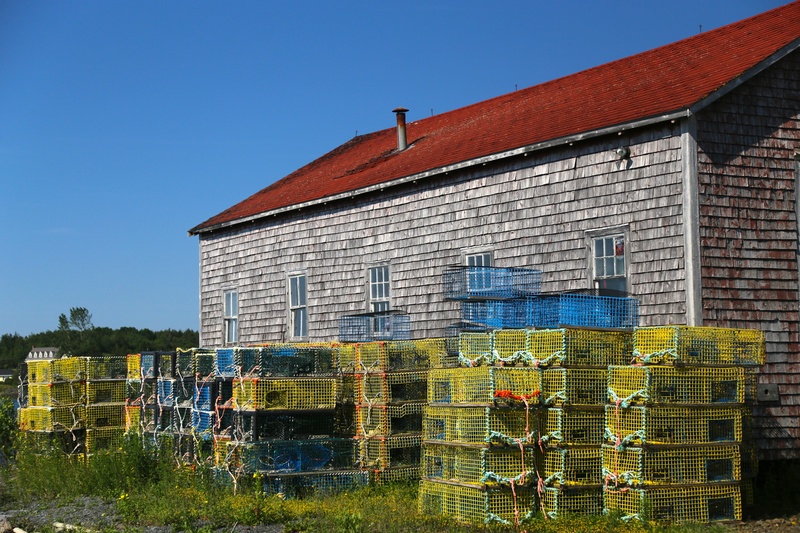 You’ll never be far from the Atlantic Ocean, still plied by fisherman in brightly painted wooden dories working the nets just as their forebears have for generations.You’ll then cycle your way over to the Evangeline Trail and Annapolis Royal, the town that marks France’s formal colonization of Canada. 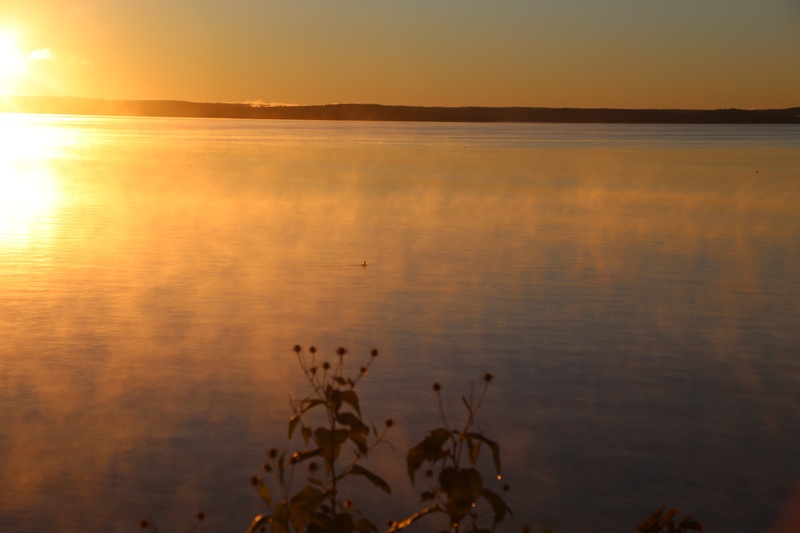 Amazingly, Samuel de Champlain and Sieur de Monts would find the area little changed from the lovely coastline that they explored and settled more than 400 years ago. "... Highlights from our tour were getting rained on the last 10 km of our 125 km day! The Queen Ann Inn, our guide Wally!, the group, and the dykes ride. 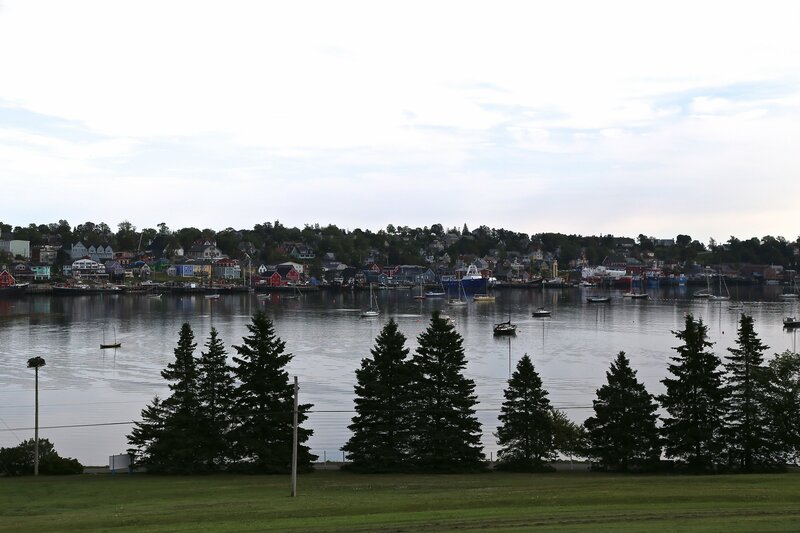 We LOVED the tour of Nova Scotia." 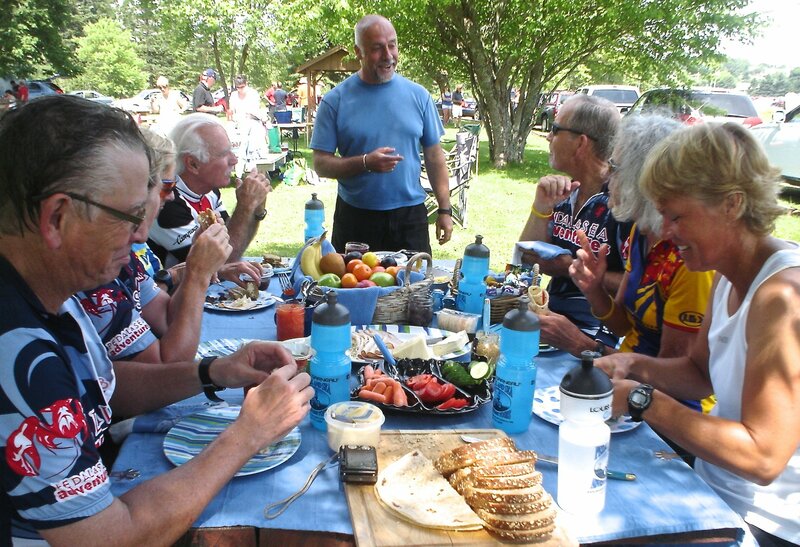 This bike tour will appeal to travellers who want to get in a few more miles during the week, and see more of the province while they’re at it. 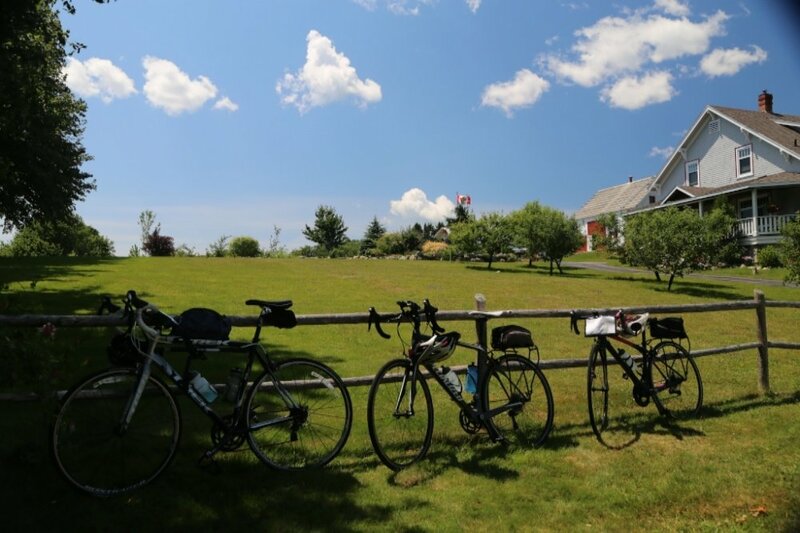 Our Best of Both Coast Tour will have you cycling both the Lighthouse Route, along Nova Scotia’s South Shore, and the Evangeline Trail, which runs parallel to the incomparable Bay of Fundy. 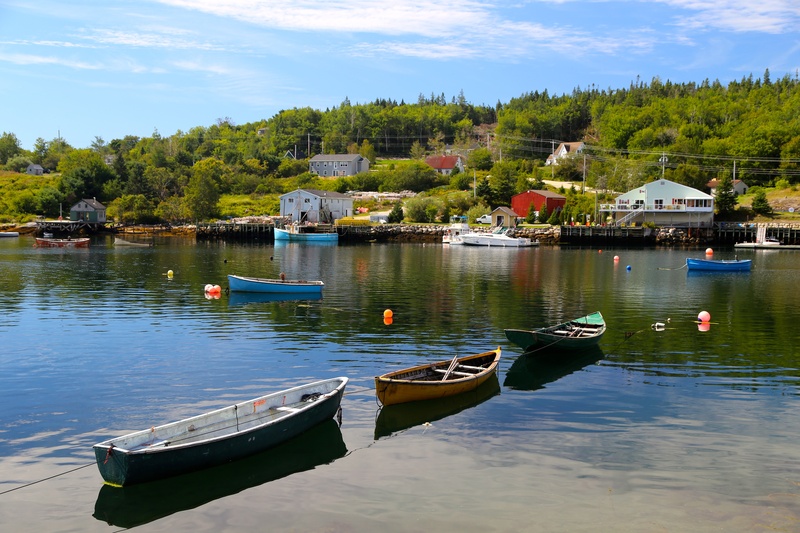 You’ll start the tour in Hubbards and cycle your way down the south shore of Nova Scotia before heading over to the Bay of Fundy side of the province where the tides are the world’s highest, rising more than 54 feet (16.5 metres) in the Minas Basin. Of course, no Pedal & Sea tour would be complete without incredible attention to detail. 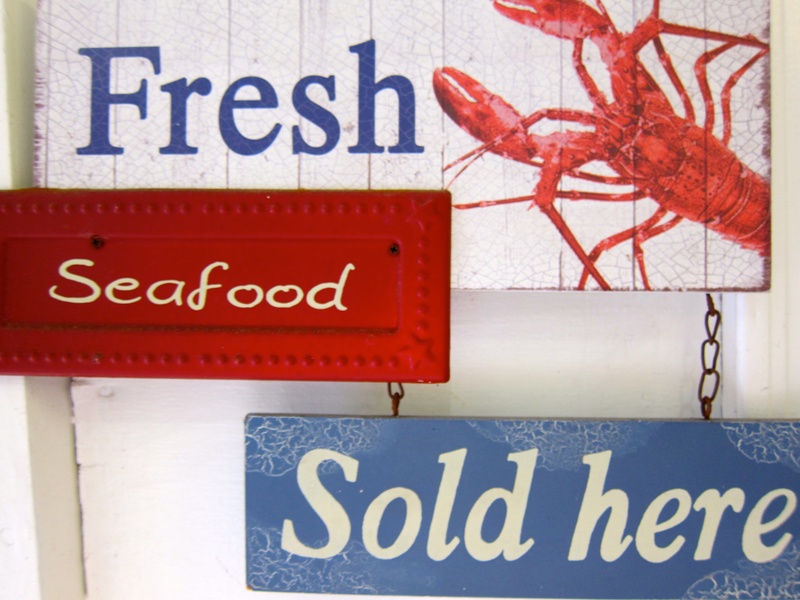 As you would imagine in a province that boasts more than 5,000 miles of coastline, seafood is our special bounty, and you’ll have the opportunity to taste the freshest seafood in both classic and modern dishes. 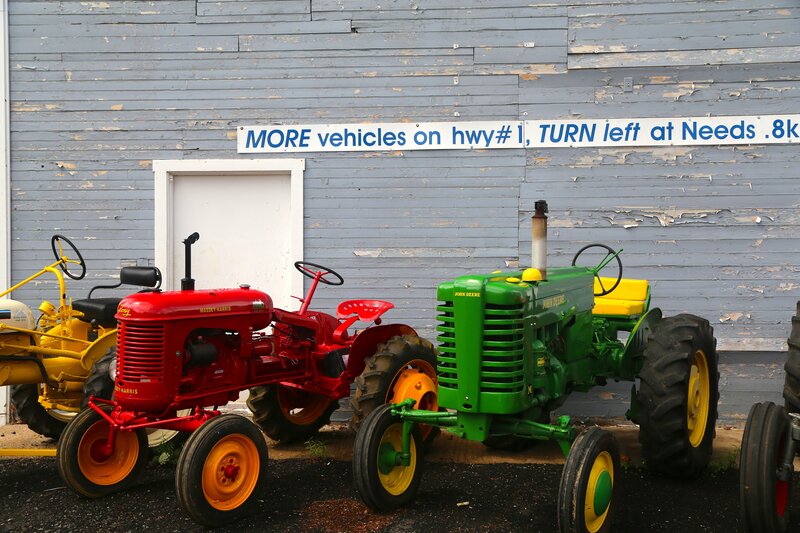 Fortunately, the mileage on this tour is high, so you’ll be able to eat well without any guilt whatsoever! 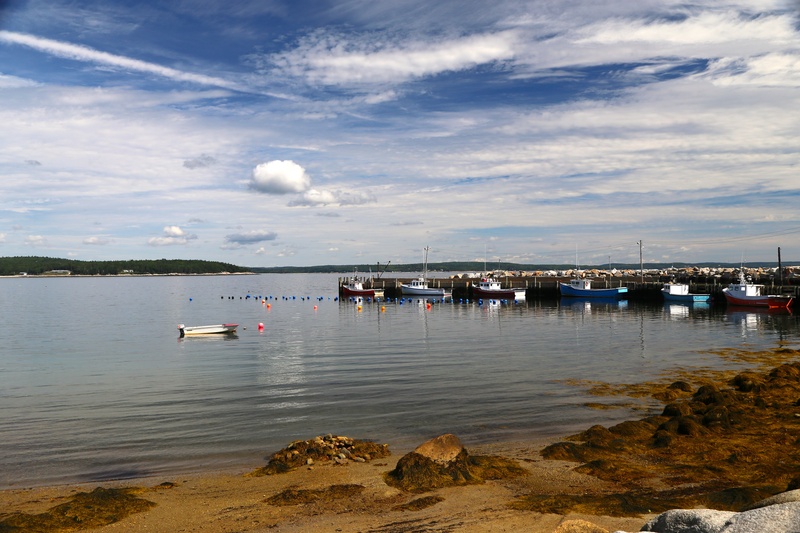 After an early shuttle from Halifax to Hubbards, you will set off on a bicycle ride around the Aspotogan Peninsula. See if you can spot the castle. You’ll pass through quaint villages and cycle by a handful of secluded, sandy beaches. 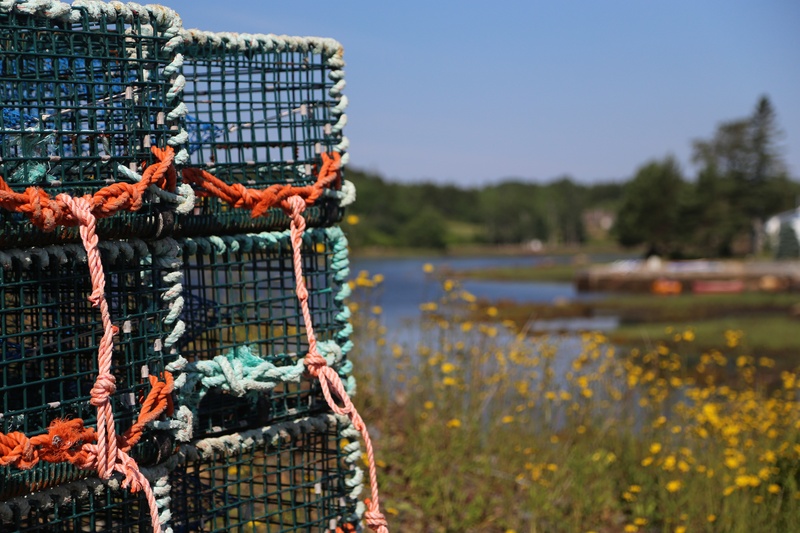 After a tasty seaside picnic, you’ll continue around the peninsula to Chester, a comely village with historic homes, including the inn where we will hang our helmets for the evening. 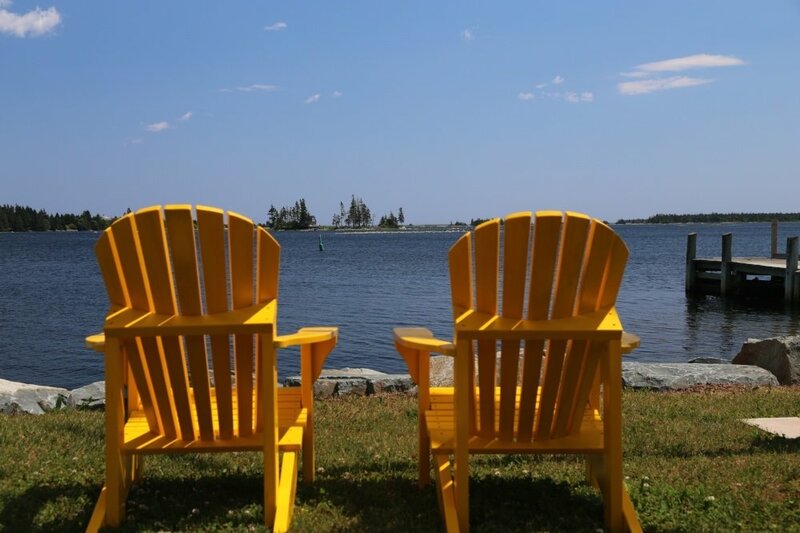 Lodging: The Mecklenburgh Inn, or Atlantica Hotel and Marina Oak Island. Today you’ll take a scenic ride on an old cable ferry to La Have, and stop at the La Have Bakery — treasured by locals — for a delicious lunch. 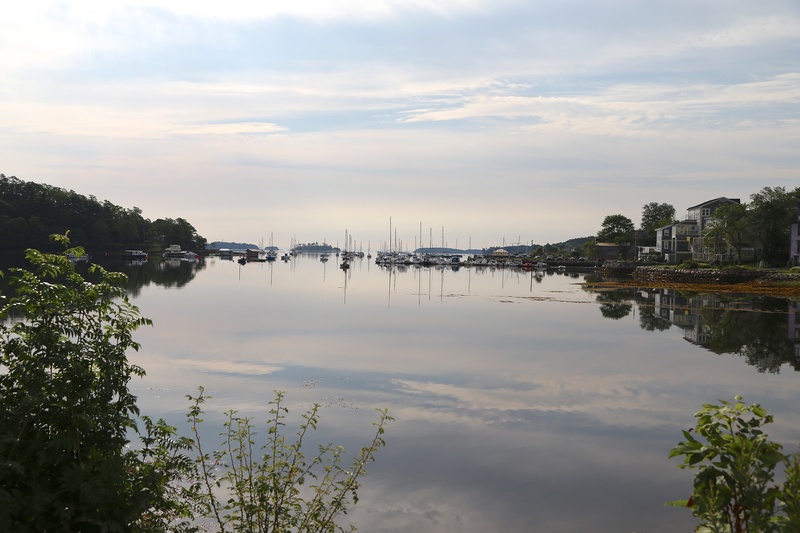 You’ll continue on to Crescent Beach, Mill Village and Liverpool before settling in to our inn for the night. Tonight, you will stay at either Quarterdeck Beachside Villas, White Point Beach Resort or The Morton House Inn. Today is a busy day, but our support van will be close by for anyone who wishes to get to the inn early. 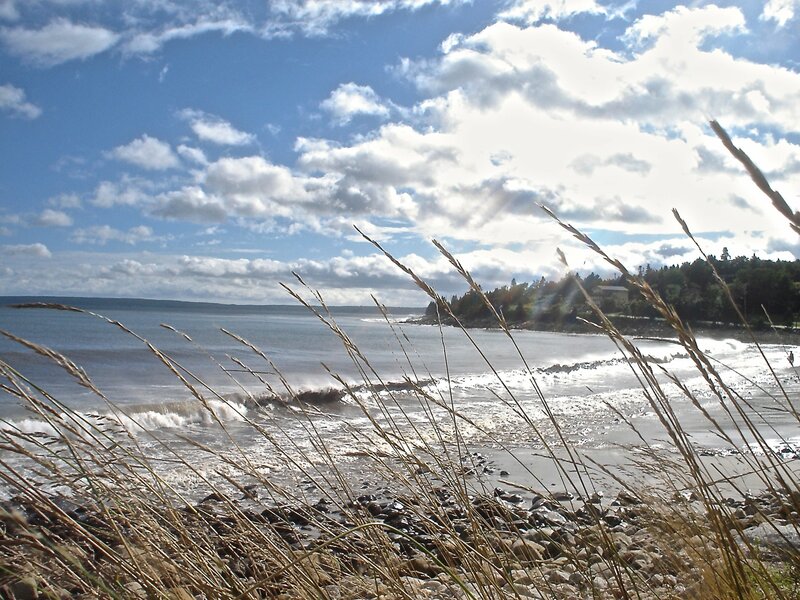 You’ll head across the province towards the gorgeous town of Annapolis Royal. Tonight, after yet another feast, you’ll take part in a candlelit graveyard tour led by a storyteller. Monsieur Melanson will try to frighten the bejeesus out of you, and you may feel the presence of a Bluenose ghost or two. You’ll even learn more about our home for the next two nights — The Queen Anne Inn or The Hillsdale House. 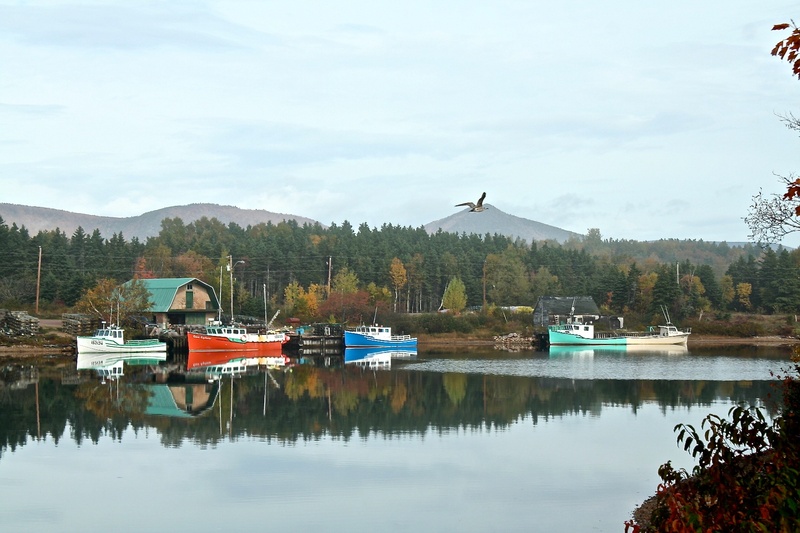 This morning's ride will take you to the quaint little town of Bear River. There are a number of artisans living in this community selling their wares. 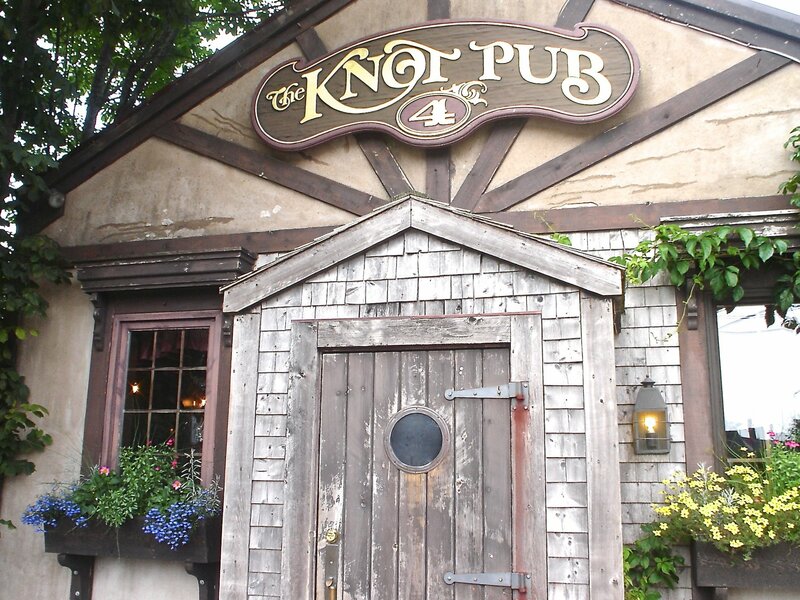 After a stroll through town and a light lunch, we will make our way back to Annapolis Royal in time to explore the many sites before dinner. We will be staying at either The Queen Anne Inn or The Hillsdale House. 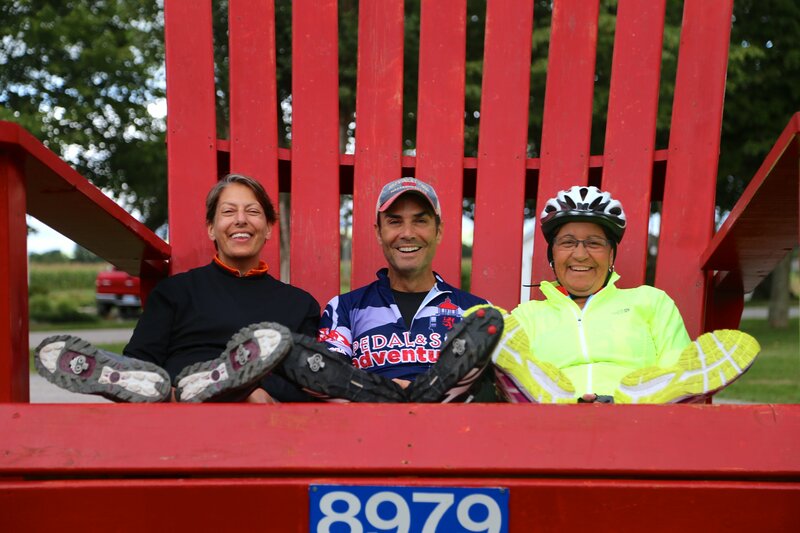 We will continue cycling through the Annapolis Valley to Hall’s Harbour, directly on the Bay of Fundy, which is home to the world’s highest tides. 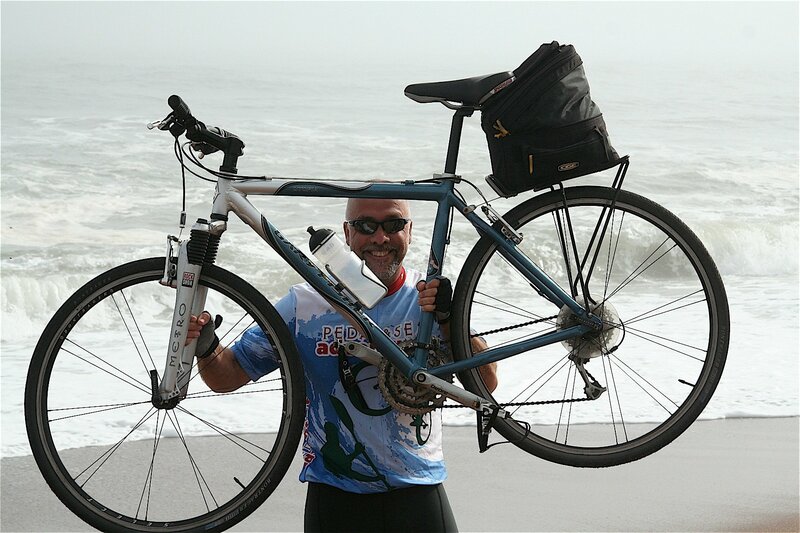 While you enjoy this quaint fishing village your guides will load the bikes back on the van. 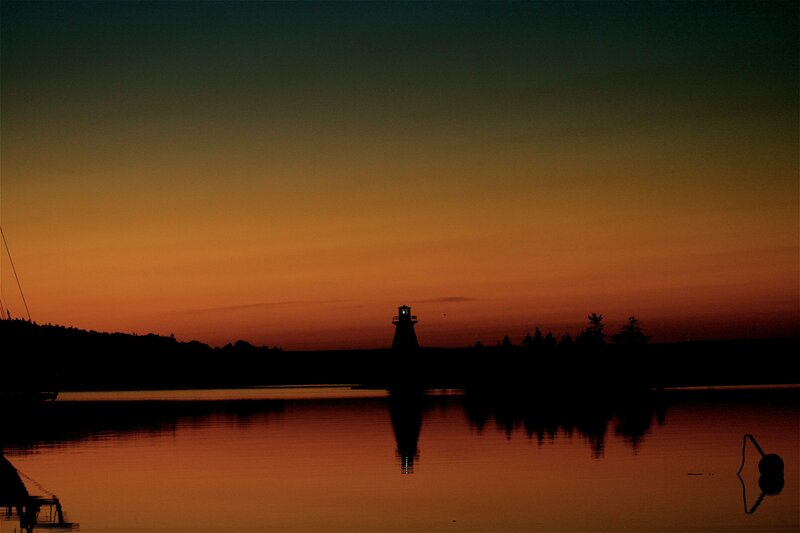 Our ultimate destination is Wolfville, a gorgeous and bustling university town. 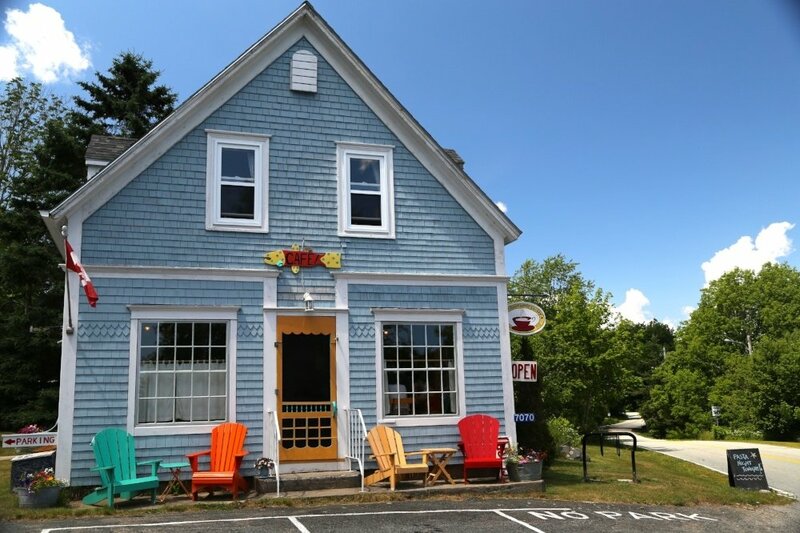 You’ll stay at either Victoria’s Historic Inn, The Tattingstone Inn or Blomidon Inn. 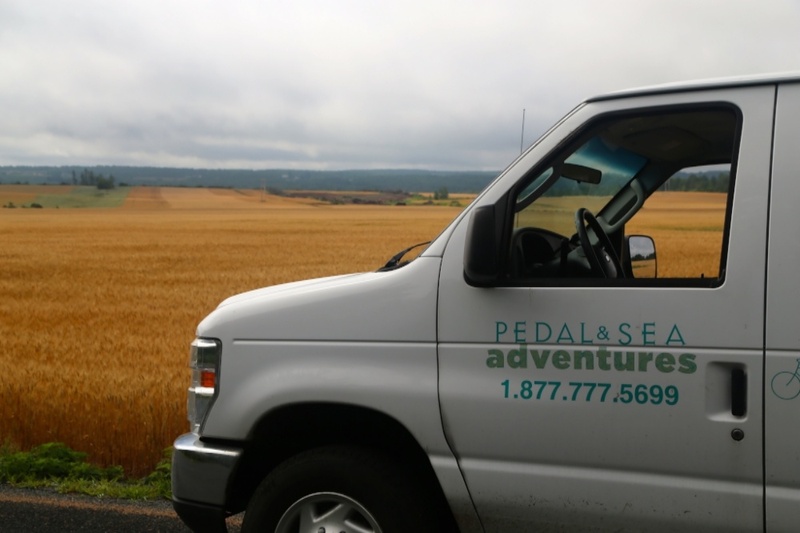 A short ride will find us near the dykes, built by the Acadians so many years ago to tame the Bay of Fundy's tides. 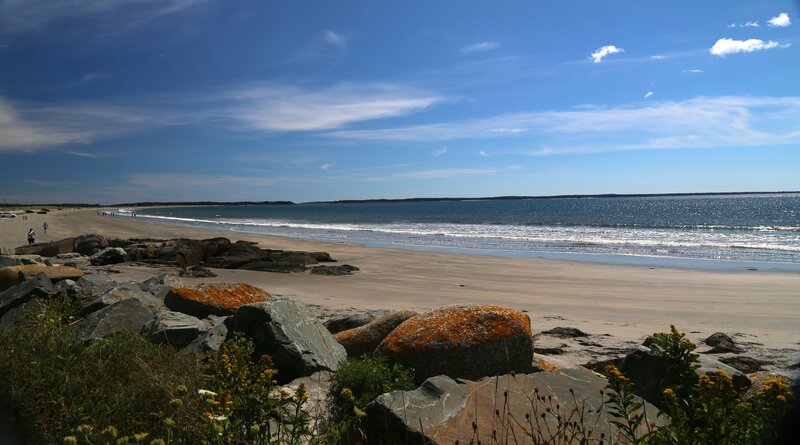 En route, we'll visit Grand Pré, the village immortalized in Longfellow’s epic poem Evangeline. 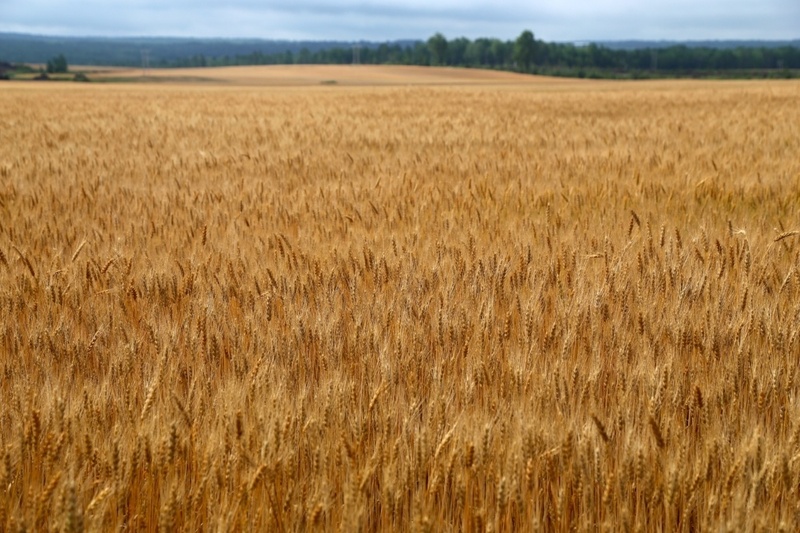 In 1755, the English expelled most Acadians (Le Grande Dérangement) for refusing to sign an oath of loyalty, and many Acadians being resettled in Louisiana, and becoming that region's Cajuns. Our tour ends with a transfer back to Halifax, sad that our adventure is ending, but glad to have made new friends.